We Have NO DEALER or DOC FEE!!! **CERTIFIED BY CARFAX - NO ACCIDENTS! **, **4x4 - NEVER WORRY ABOUT THE WEATHER! **, **BED LINER**, **CHROME WHEELS**, **V8 POWER! - YOU WON'T BE ABLE TO DRIVE A V6 AFTER THIS! 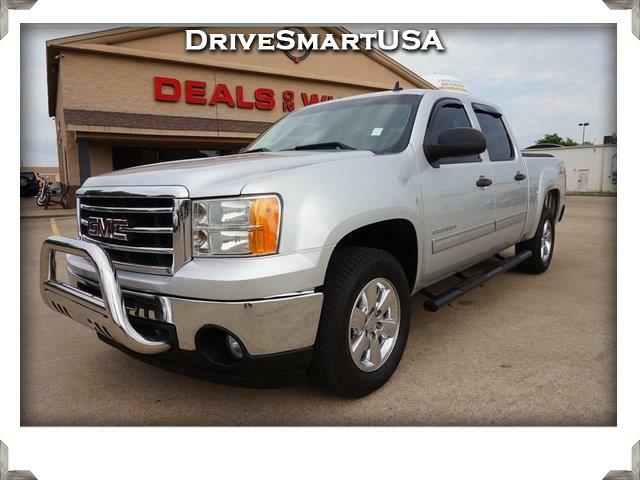 **, Sierra 1500 SLE, 4D Crew Cab, Vortec 5.3L V8 SFI VVT Flex Fuel, 6-Speed Automatic, 4WD, Quicksilver Metallic, ebony Cloth.